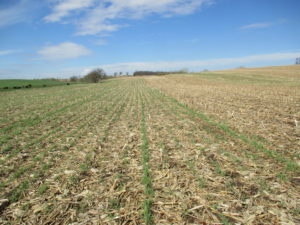 Cover crops are starting to become more popular in Iowa due to their ability to protect the soil and recycle nutrients that would otherwise be lost to leaching during winter and spring. More farmers are going to have to start using a combination of cover crops and no-till to reach the erosion control and water quality improvement goals the public is demanding. Research shows that mixtures of brassicas (e.g. turnips or radishes) , legumes, and grasses can generate more organic matter over time than a single species. Mixes are important for building organic matter. 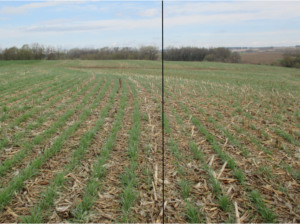 But, even growing a single cover crop, like cereal rye, can increase soil organic matter and relieve compaction in addition to reducing erosion. Adding a cover crop to your rotation puts a live root system in the soil for more months, beyond the roots of your commodity crop. The associated biological activity (from earthworms and other soil organisms) helps to increase soil organic matter and break down crop residue. 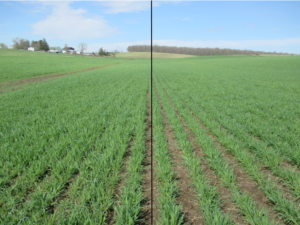 Cover crops help to increase pore space for water infiltration and air space in the soil, which is important for root survival. 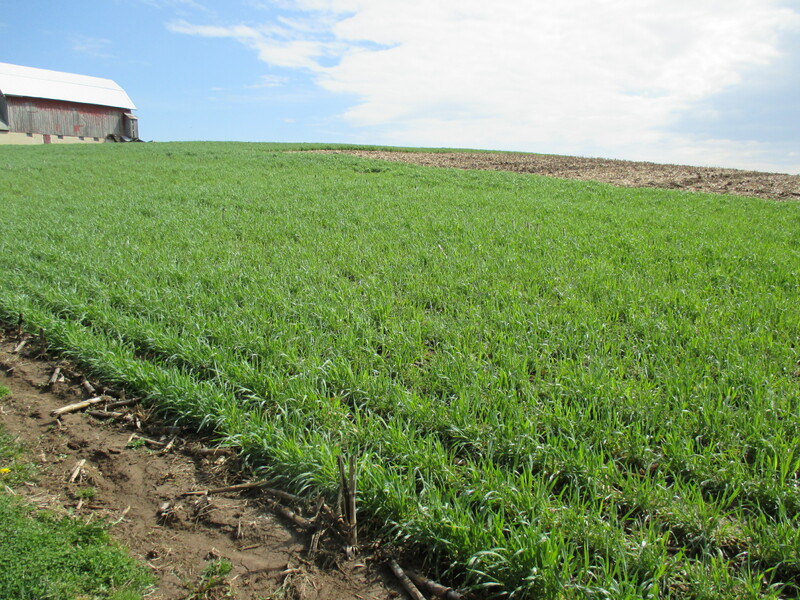 Don Elsbernd, Allamakee County SWCD Commissioner, has been planting cover crops for a few years using different seeding methods, seeding rates, and seeding dates. 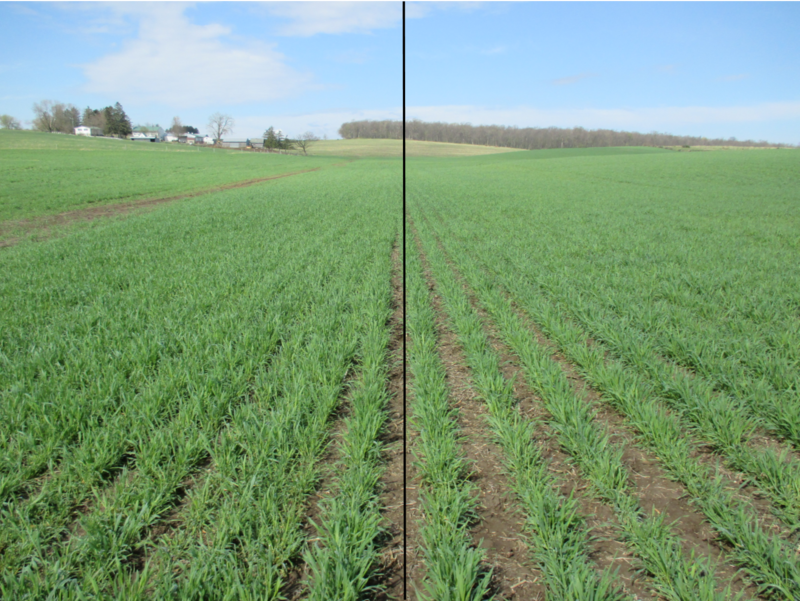 Photos were taken of his fall seeded cereal rye on April 21, 2016. All of the cover crops were seeded using a Kinze planter equipped with interplant units to achieve 15 inch rows. Metering is done with a soybean meter and disc. A backing plate is added when seeding cereal rye. 2 bushels of cereal rye seeded September 11 after silage harvest 1 bu. 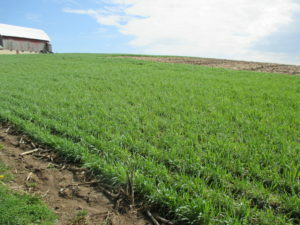 cereal rye seeded Oct. 4 after soybeans. Area along waterway was double-seeded. 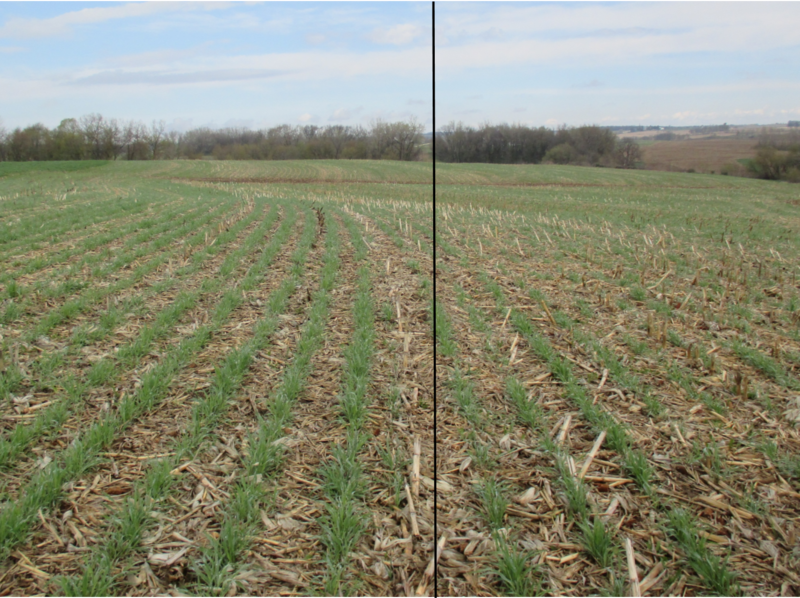 These photos show how seeding rate, seeding date, and preceding crop can impact the cover crop growth.